Diva with Style earrings are all about fun! 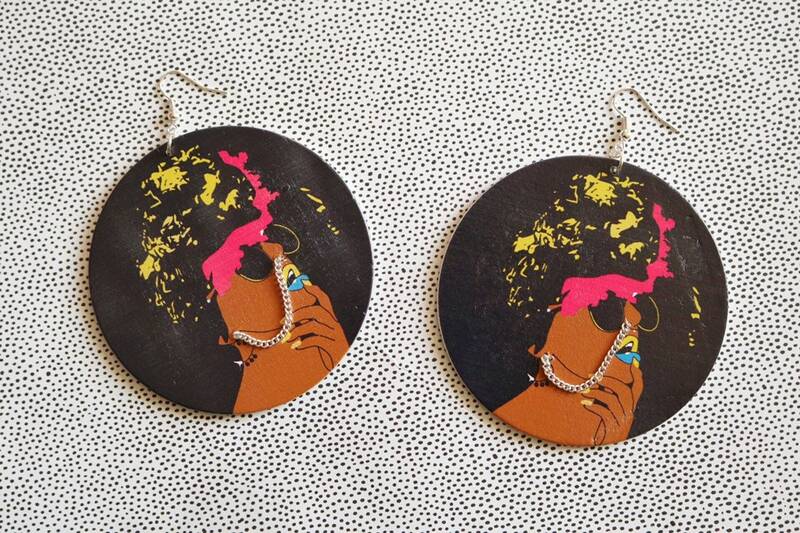 Make a stylish statement where ever you go with these earrings. Made with light wooden medallions printed on both sides, the Diva with Style has a sassy chain that goes from her nose ring to her earring.